Whether you’re a business owner or you’re in charge of marketing, you’ll have a laundry list of things to do. Between countless meetings, shifting priorities, and a growing heap of paperwork (although, we hope you’re more or less paperless by now), it can be difficult to commit to something like content marketing – and even more difficult to do it well. For some, content marketing is a few blogs here and there. The odd press release, maybe. Perhaps even an infographic once every four years or so. This kind of unstrategic, impersistent, lacklustre approach is the reason why so many businesses miss out on their true potential. It’s why so many businesses fall short, digitally. True content marketing is much more – but we’ll get on to that shortly. When your financial year comes to an end, you’ll want to know that you made every effort to smash your targets. The answer to many of these marketing conundrums is proper content marketing. If you can’t find the time, the next answer is to outsource. Here’s why. Here’s where we’ll start. Content marketing is the bread and butter of marketing in today’s fast-paced digital world. At its core you are talking to your audience and giving them avenues through which they can find you. It’s more than that, through: it’s everything from SEO and PPC to web design and PR. Here are a few quick reasons why you need content marketing. If you optimise your blogs for relevant keywords and you share them on various social media platforms, your reach will improve and you’ll have a far greater chance of ranking highly on search engines. It’s your best chance to break through to new audiences. Content marketing is a great way to learn which audiences are for you and which ones are not. A vital part of a campaign is developing buyer personas – these will give you invaluable insights into who you want to target. At the very least, if your competitors are sending personalised emails out, you have some catching up to do. If they’re publishing blog content regularly, sharing good-looking videos (of theirs), or even putting on industry events, you’re in trouble. Your ultimate goal, despite how much we content marketers go on about awareness-building, is getting more qualified leads. It’s all part of the same process, after all! Just a few points to consider. 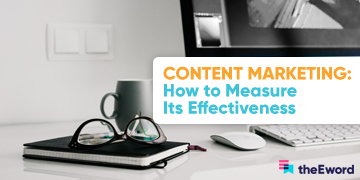 You might want to take a look at one of our previous blogs: ‘Content Marketing: How to Measure Its Effectiveness’. 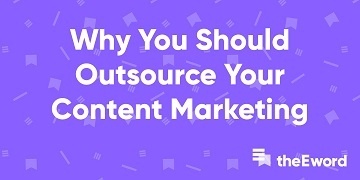 So now that we’ve covered why you need content marketing, let’s look at the myriad reasons why your business needs to outsource. If you’ve got a to-do list that’s longer than your arm, time will be a precious commodity. A profitable content marketing campaign takes months to plan, set up, and implement. Your potential ROI is worth it, of course, but you’ll doubtless have other priorities to deal with – especially if you’re a business owner. You need to take care of the day-to-day stuff! If you try to just balance everything, you’ll end up devaluing some of the most important aspects of your business. Instead, it makes sense to allow a digital marketing agency to dedicate its time purely to the digital growth of your business. This way, you’ll save loads of time and you’re more likely to see a quicker turnaround of results. With an agency, you (and the growth of your business) are the main priority. Again, a time-related one. When you’re busy sorting the day-to-day stuff, head down and knee deep in your workload, it’s hard to look ahead and make true progress. This kind of stuff – keeping tabs on industry-related updates, as well as technological developments – falls under the remit of a content marketing agency. Whether there a few new players in your industry or Google has once again moved its goalposts with another SEO update, having an agency behind you will ensure that you are ready for anything. 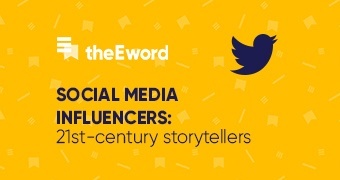 If you want to predict the future, enlist the help of content marketers! When you’re so close to your business, and you’re doing business in ways that you always have, you get tunnel vision. Although nobody will know your business as well as you do, an outsourced agency can offer invaluable outside perspective on its area of expertise. If it feels at all like you’ve grown complacent or too comfortable with your marketing approach, you should get in touch with a content marketing agency. If your campaigns have grown stale or unoriginal, you really need to get in touch with one. Wrong. If this is your scenario, you’re actually missing out on the vast range of skills that is essential to effective content marketing. You need a team of content marketers, each with their own skill-set and area of expertise. If you’re going it on your own, you will never have the quality or the level of depth that comes with a decent content marketing agency. When any good content marketing agency creates content for your site – be it a blog, an SEO-focused service page, a PPC landing page, or whatever – they will always go back and see how it has performed (and, from that, how it could be improved). If you’re not doing this in your current efforts, how do you expect to maximise success? Again, it all comes back to being time-poor. When things are so busy that you can only look forward and never back, that’s when you know it’s time you sought outside help. Good content marketing is about identifying what works for your audience – and what doesn’t. When you hire experts to do your content marketing, your funds will be invested wisely and you can expect a good ROI over time. Results aren’t always instant in content marketing – especially for brands that have no existing presence – but you can work with the agency to set out expectations, deliverables, and service-level agreements (SLAs). All you need to worry about is picking the right agency for you. Although the person handling your account may change depending on the staff turnover of your content agency, a good agency maintain consistency via proper handovers and attentive record-keeping. This is a saviour for a busy business like yours. Say, for example, your in-house content writer is at an industry event, or a conference, or they’ve been struck down with some local content writer flu epidemic. Or if you use a freelancer and they’re all of a sudden unreachable via phone, email, carrier pigeon. What are you going to do? You can’t really stop the press and shut up shop. Regular blogging is one of the best SEO power-moves that you can make! With an outsourced agency, you’ve got nothing to worry about. Those guys have got you covered! If you’re a marketing manager and have been tasked with not only planning the content but also writing it, while chasing leads and trying to arrange sales meetings at the same time, it can all get a bit much. You’ll burn out and, before long, it will become clear that you need a helping hand. A good content marketing agency will provide other services, because content is so intermixed with other aspects of digital growth. You’ll get access to technical-SEO experts, PPC boffins, and amazingly creative designers. All quite different disciplines, working towards a common goal: the growth of your business. If your content marketing strategy is being implemented by a lone content writer, then you’re missing out on the good stuff. Video content! Interactive quizzes! Gorgeous infographics (ones that actually contain info)! Can your content writer produce a sharply written, technically well-designed whitepaper that fully adheres to your brand guidelines? We guess not. One or more of the key things will probably be missing – and your customers will be more perceptive to these imperfections than you might think. These are all headaches that a content marketing agency can get rid of. This is a big one. A content marketing agency will use its research and gather some data to help it create content that targets new relevant audiences. There is so much potential for businesses to expand their digital reach, but more often than not they are contented with the existing audiences that they have. One of the earliest stages of a content marketing campaign, and a stage which you’ll refer back to throughout the campaign, is creating buyer personas. With a set of buyer personas, you’ll have access to every facet of an audience so that you can use the information to reach out to them. Thanks for reading! We’re going to leave you with our guide, ‘How to Choose a Digital Marketing Agency’ – it gives you the lowdown on everything you need to know. We’ve also written the following blogs to help you along. We’re good to you, aren’t we?! Check them out below. It’s time you outsourced your content marketing. Give us a call on 0161 848 4300 and we’ll talk through your options. Alternatively, you can book a call in with our Director Kleon. He’s happy to help!